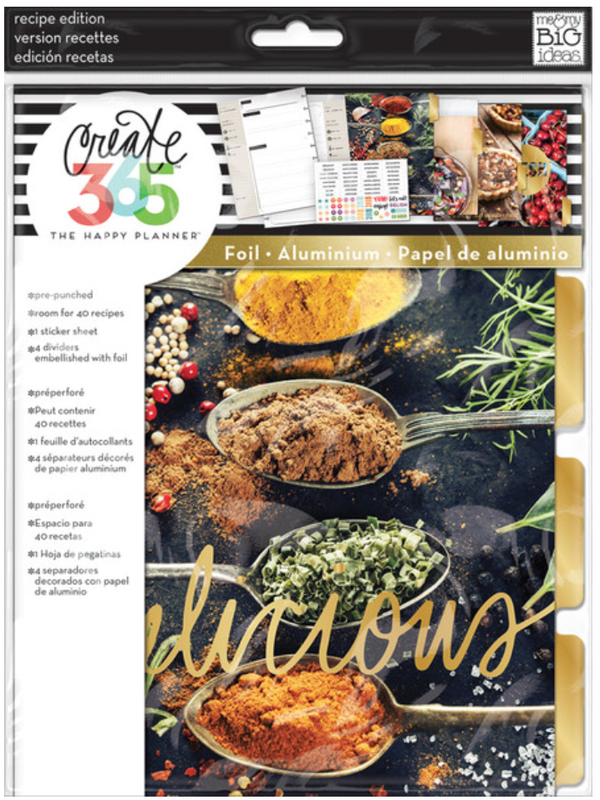 Today we are excited to share these tow pages in The Happy Planner™ Recipe Organizer of mambi Design Team member Theresa Doan. Organizing your yummy life doesn't get much better than including two of your kids' favorite family recipes and a photo of their sweet faces eating them up! "I find most of my recipes online these days. Some are printed, bookmarked in different devices and sometimes lost. The Happy Planner™ Recipe Organizer is the perfect solution for this problem. I started recording all of our favorite recipes so I won't have to search everywhere for them anymore. I added photos of who's most favorite it is. This will be great for the kids to have when they are older!" Theresa used the pages and stickers from the Recipe Organizer BOX KIT to create this project, but you can create similar pages by using the supplies below. Click on the item to shop. For more Happy Planner™ inspiration, head to our Happy Planner™ Page.